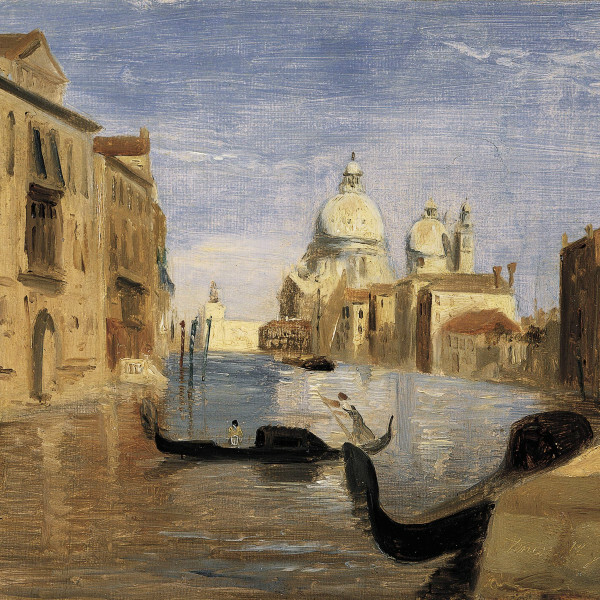 For the first time since Corot’s lifetime, two of his early paintings of Venice have been reunited. Gallery 19C has recently acquired both works, which when viewed side-by-side provide a rare opportunity to examine the development of Corot’s plein-air painting style in the early formative years when he was in Italy. Both pictures, painted in 1828 and 1834, depict an on-site view of the Campo della Carità looking towards the Duomo della Salute. 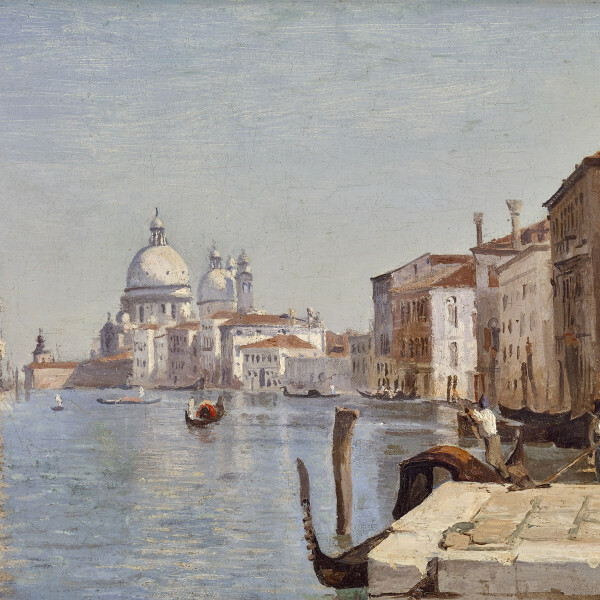 The addition of the earlier view now constitutes the fifth known Venetian painting from Corot’s 1828 trip. 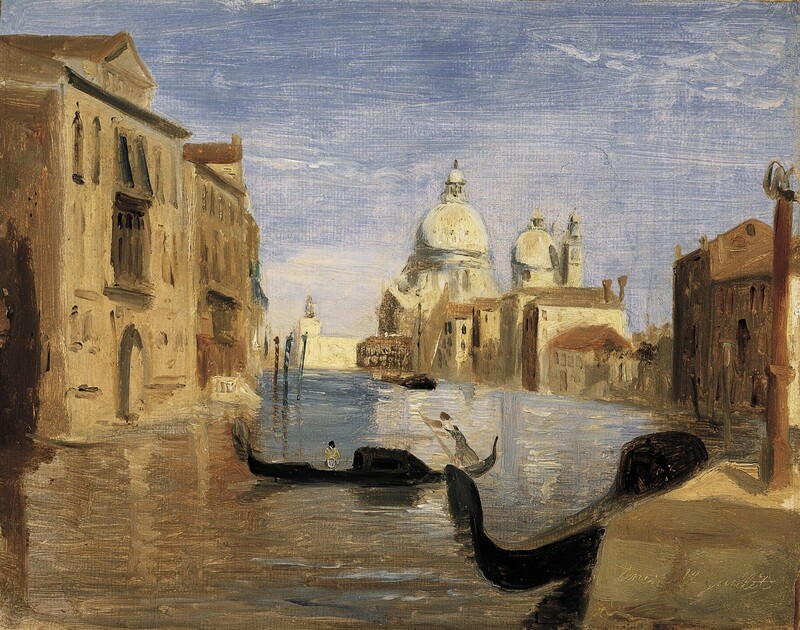 It is inscribed 12 Juillet in the same manner as many of Corot’s plein-air sketches from his first Italian journey, where he would incise the location and date directly into the wet paint with the handle of the brush. The painting is executed in a fluid manner, as if he were sketching in oil. 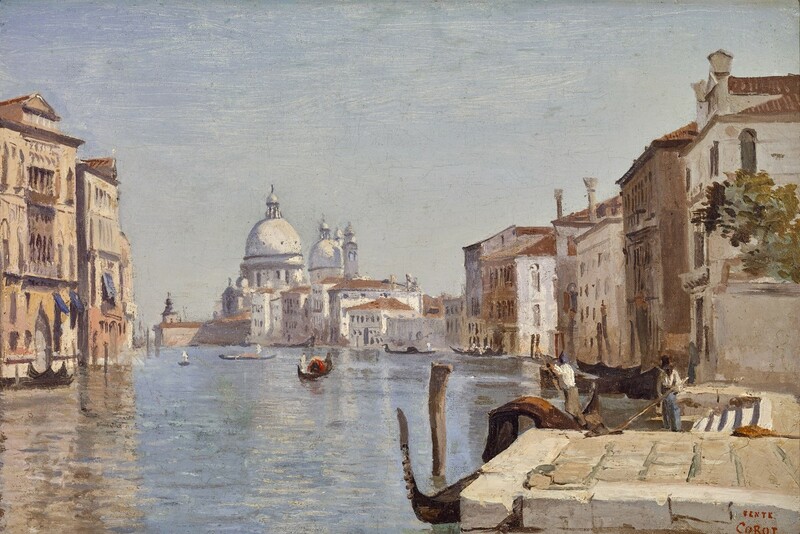 Corot’s 1828 stay in Venice was possibly cut short due to an outbreak of cholera, but the magic of the city never faded from his mind as he returned again in 1834, and painted a second version of the Grand Canal, from almost the exact same location. Gallery 19C is an international gallery focusing exclusively on the 19th century, one of the richest, most diverse 100 years in the history of art. Visit Gallery 19C at the New York Art, Antique & Jewelry Show from November 9-16, 2016 and the Palm Beach Jewelry, Art & Antique Show from February 15-21, 2017.